For the crankshaft balancing in a car, counterweights are used. Crankshaft is a part of engine, connected to flywheel and piston rods. Its work is to change the motion of the piston and make it move up and down in order to power the vehicle. And the balance in the engine is maintain by adding counterweights that will reciprocate the mass of each piston and connecting rod. The most appropriate material for counterweights is tungsten alloy, as it provides high density in small volume, has excellent hardness, superiors wearing resistance, corrosion resistance, shock resistance, high melting point, and high temperature resistance. 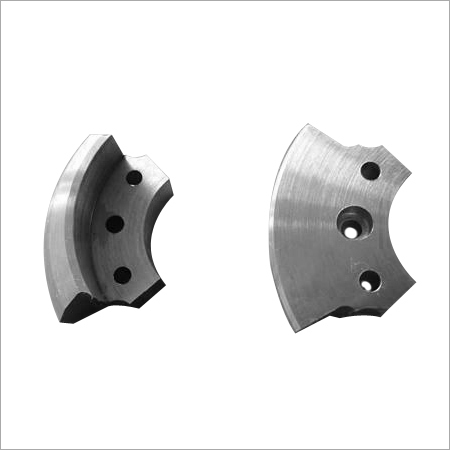 The company designs and develops tungsten alloy crankshaft bricks, which can be connected to a flywheel or tensional or vibration damper. The professionals at the company have the experience and expertise to manufacture tungsten alloy crankshaft bricks to clients' requirements. Our deep professional knowledge enables us to manufacture, export and supply superior quality Tungsten Alloy Crankshaft Brick as per the requirements and specifications of the clients. Specifically used to place on the balancing machine, the offered brick is used to determine the exact points from where the metal needs to be added and removed. The brick provided by us is precisely manufactured under the vigilance our dexterous professionals using excellent quality tungsten and cutting-edge technology. Additionally, we provide this Tungsten Alloy Crankshaft Brick in ample number of specifications at market leading prices.